Whether you are painting some furniture or doing your favorite crafts, you need the best spray paints available. Choosing the best gold spray paint versus the best silver spray paint can be challenging and each offers a unique formulation. Follow this simple guide to help you find the exact spray paint you need to get the job done right. What Makes a Good Spray Paint? What are These Colors Used for in Spraying? What Should You Look for in a Spray Can? Spray paint is designed to be project specific. You will need to be careful deciding which spray paint to use. Having the right paint is going to ensure that your project looks the best it can. Professional Enamel Paints – best for metal, wood, masonry and more. This type features the fastest drying time. Special Use Paints – great for custom crafts and decorative looks. These can be found with special effects like glitter and glazing. Automotive – can be used for metal and plastic auto parts although often a paint sprayer is a better option. Each spray paint has a variety of purposes. Here are some ideas of what to use each product for. This is a favorite among crafty people. It can be used to give a completely different look to many pieces of furniture. In addition, gold spray paint is ideal for small craft projects such as vases, picture frames, small lamps and more. Quite the opposite color scheme of the gold spray paint, the silver hue can still be used on many of the same applications. The best silver spray paint can give a unique and elegant look to most furniture pieces or small accessories. 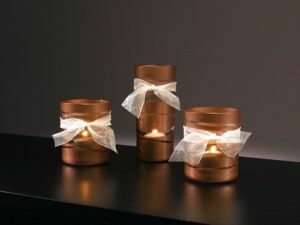 With the unique look, copper spray paint is ideal for many household uses. With the ability to use spray paint on wood, metal, and plaster, there is a variety of DIY projects you’ll want this paint for. This fashionable, pink metallic paint adds a sparkle to most craft projects. There are many ways to use this color for holiday decorations as well. This company was founded in 1947 by a Philadelphia businessman and they are still the largest supplier of aerosol paints. With the Krylon company, it is possible to find a product good for any project. With the use of superior colors and finishes, Design Master offers a variety of materials to finish all your projects. Their paints can even be used on delicate surfaces such as silk flowers, tulle, paper and more. If you’ve got a surface you need to protect, transform, or replenish then you’ve come to the right place. We have a coating for every challenge. Their spray paint range is vast, well priced and comes recommended by the large majority of users. Ensure that the paint you pick will work on the materials you are working with. Match the shade you desire and try to match as closely as possible. Keep in mind that some spray paint cans will show a slightly different shade than the actual color. Pick the proper type of spray paint. Do you need a specialty craft paint, chalkboard paint, textured paint or maybe even a glow-in-the-dark paint? If your paint needs to stand up to extreme temperatures, be sure that your paint can handle that. Make sure you purchase enough of the paint to complete your project. As a tip, if the project is large, you may want to consider using a comfort spray paint tip to alleviate the pressure on your fingers. Spray painting for long periods of time can cause some discomfort without this handy tool. No matter what project you are currently looking to tackle, these four spray paints are the brands to check out. Perfect for most DIY crafts and household projects, this Krylon spray offers the highest quality metallic appeal. It has a deep and lustrous finish that comes close to resembling actual paintings. It goes on smooth for superior application. In addition, it leaves all your projects with a high-gloss finish. It is a fast drying and acid-free product. While it might not actually be metal, it sure will give the appearance of elegance. Krylon is a leader in the market and it is for good reason. They’ve proven themselves to produce a superior line of paints. This gold color doesn’t come out with a yellow, green or rose tint like some other brands will. It can even be used on plastic to create a metal-looking finish. It doesn’t look cheap at all but offers superior sophistication. You’ll enjoy the even spray that appears flawless when finished. If this is sprayed in light layers, you’ll even be able to prevent the running that occurs often with spray paints. This Krylon paint may not actually contain metal, but it sure appears to. The high-performance gives any project a bright and durable finish. This 12oz aerosol can is super-fast drying, so you no longer have to sit around in between paint coats. Just keep in mind that this paint is for indoor use only. If you want the high-gloss look of real painting without all the work, this is the best copper spray paint for you. Some of the great things to consider using with a copper spray paint are DIY leaves for fall decorations, painted mason jars, indoor vase planters, furniture projects and even old bottles. Once you begin to use the brilliant copper finish spray, you’ll be sure to find tons of projects that this will work on. Thankfully, you’ll have the experience to get the painting done quickly. This fashionable pink and gold metallic coating will add sparkle and flair to any craft project. Many people also find that this is a great way to spruce up holiday decorations. 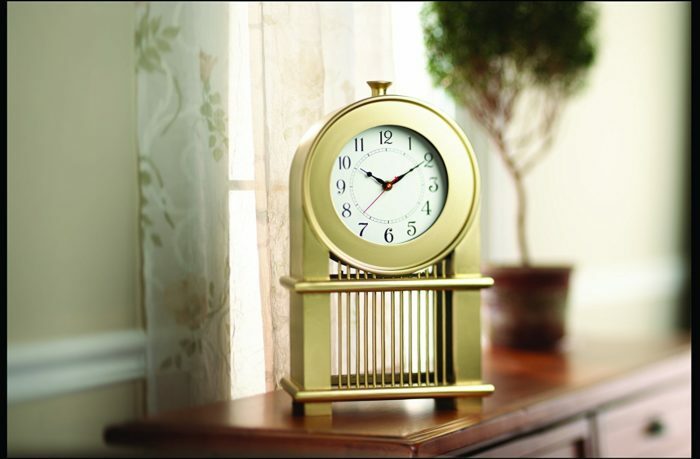 The quick-covering spray dries fast to a smooth, rose gold plated finish. Designed for most indoor projects you could consider using it on wood wicker furniture. Some other crafts this paint is good for are permanent floral decorations, ceramics, pottery, glass, paper mache, plaster, metal and more. Some of the best projects I’ve seen with rose gold spray paint included a utility cart, a claw foot tub, the stems of champagne glasses and more. The rose gold color also acts as a great addition to stenciling on walls and paper crafts. Using a company like Design Masters will bring peace of mind knowing that they make the best rose gold spray paint available. This silver decorator paint features an EZ Touch 360-degree dial spray tip for easy application. It also features a non-yellowing moisture resistant finish. This permanent protection is ideal for both bare and painted surfaces. In addition, the Krylon spray will dry to the touch in just 10 minutes or less. Use this on your wood, wicker, glass, metal or paper craft projects for a beautiful finish. It can be used indoors or outdoors thanks to the superior weather-resistant ability. With a smooth finish, this Krylon paint allows for most any general purpose application. The durable CoverMax technology also ensures premium coverage and superior color. The conical spray tip delivers a precise application and less overspray than most other brands. You’ll also take notice that the runs and drips are less frequent. Whether you are on the hunt for the best copper spray paint, best rose gold spray paint or any other metallic color, you’ll find what you need by searching through the reputable brands. With the wide variety of products available on the market, you can easily complete any project you are ready to tackle.